A great way to enhance the likelihood of success in your cannabis business is to take care to choose a good cannabis business management team. Then, give the responsibility for each specific area of your cannabis business to appropriately knowledgeable members of that team. First of all, if you have a cannabis business it should be incorporated. Considering the changing laws, if you don’t have your cannabis business legally separated from your personal life through incorporating your cannabis business, you could find that legal penalties and the real possibility of your cannabis business not being profitable, can ruin your life by burying you in company debt and legal troubles that will destroy your peace of mind and keep you from starting over in a new business venture. That said, your corporation is a legal entity separate from its founders. The founders own all the stock in their corporation and can sell that stock to investors or give it to managers and partnerships that benefit the company. Because the cannabis business corporation is a legal entity, it is run by its board of directors. The CEO manages the company. However, the board of directors and its chairman set the direction and policies of the company and oversee the activities of the CEO. The CEO is really the face of the business, and the board and chairman its brain. Many entrepreneurs think that the founder should be chairman and CEO, both. This is not always a good idea. Some founders don’t have the personality to deal with investors and vendors. They can still control the character and goals of the company as chairman of the board. Perhaps a more social co-founder or employee can be a better choice for CEO. The decision about whether to have one person perform both roles depends on what your company needs and the talents of that person. Hiring the CEO and leads the board approval process for the hiring of all key management employees. When choosing your chairman, look for strong qualities such as being good with details. Previous company management experience, and a good understanding of legal issues and accounting. The chairman does not have to be a founder or even a regular employee of the company. A trusted outsider with the appropriate skills can be brought in as chairman of the board. 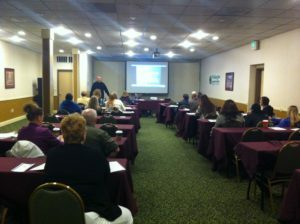 Board members discuss and decide on topics of importance to the company. The company’s board of directors is not the same as the advisory board. While it is a good idea to have an attorney and an accountant on your board of directors, it isn’t necessary. Board members for a startup are often the founders and early employees. Outside directors can be added as the company grows. The CEO often also holds the position of chairman of the board. The CEO might, instead, be vice-chairman of the board, and in some companies, the CEO isn’t on the board at all. Chief operating officer – COO – who is essentially the second-in-command or executive vice president. Chief financial officer – CFO – who manages the financial affairs of the company such as accounting and banking activities. The CFO also monitors the finances of the company and reports directly to the CEO. Chief technology officer – CTO – who manages the computer communications systems and the company’s technology products. The titles aren’t important. The functions and the abilities of people to perform those functions are what is important. A mis-match in skills due to someone’s ego requirements is a big reason why companies based on fabulous ideas often fail. This is why the CEO is the most important person in your company. The CEO meets with prospective investors, and negotiates investment deals, partnerships, and vendor deals. The CEO faces the public and summarizes the private business of the company. In this way, the CEO supports the brand image and is the most important marketer your company will have. Even a great marketing agency can’t overcome a dud of a CEO. These details of a standard cannabis company structure might seem too far down the road for a startup to consider. The consequences of ignoring them include chaotic operations, loss of employees, poor performance, and eventually, the failure of the company. They have become standard because they work. 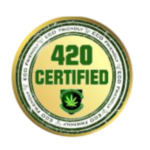 420 College is California’s leading source for information and training on cannabis operations. 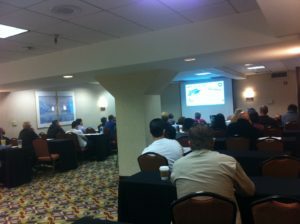 If you are researching cannabis business in your city or county, then take one of our cannabis business workshops in Los Angeles, San Diego, Pasadena and Sacramento. Our attorneys and network of industry leading professionals go over every aspect of cannabis business licensing, start-up and business operation in a lively, classroom style event. 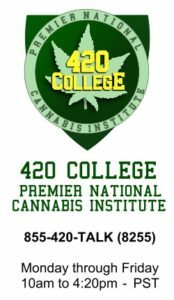 At 420 College – it all begins with helping YOU to understand what is proper, lawful and appropriate! Our hands-on cannabis business start-up seminars or one-on-one cannabis business consultations are a perfect way to get started! 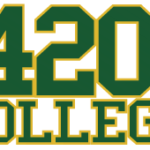 Find out how 420 College cannabis business seminars can help you in your business, click here. Founder & CEO of 420 College.